Home / المعرض / Win Tickets to NEC Classic Motorshow with Meguiar’s! The NEC Classic Motorshow is the UK’s biggest indoor show dedicated to classic cars and bikes. Each year Meguiar’s host an award at the show where 16 of the UK’s finest enthusiast cars compete to be crowned Meguiar’s Club Showcase Winner. 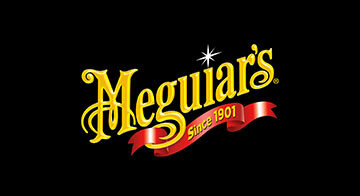 Meguiar’s are an official show partner for 2014 and in the lead up to the show have 5 pairs of tickets to give away! All you have to do to take part is log onto Facebook and like and share the competition image from the Meguiar’s UK Facebook page, it couldn’t be easier! The competition will run from Friday 31st November until 12pm Tuesday 4th November and winners will be drawn on Wednesday 5th. Good luck! We look forward to seeing you there! 1. These rules and any other rules specified by Meguiar’s UK or any of its group of companies (the “Company”) from time to time (“Competition Rules”) apply to any competition which is run by or on behalf of the Company (“Competition”). By taking part in a Competition, you agree to be bound by the Competition Rules and by the decisions of the Company that are final in all matters relating to the Competition. The Company reserves the right to disqualify any entrant and/or winner in its absolute discretion for any reason and without notice in accordance with the Competition rules. 2. All entries must be received at the place specified during the period (Friday 31st October 2014 – Tuesday 4th November 2014) in which the Competition is open and late or incomplete entries will be disqualified. Proof of posting (if relevant) shall not be deemed proof of delivery. No responsibility can be accepted for entries that are lost, delayed, misdirected or corrupted during delivery to the place specified for any reason whatsoever. 4. The winning entry will be chosen by the Company and this entry shall be that which has met the entry criteria and which most closely meets the Competition criteria specified. 4.1 The winner(s) of the tickets will receive 2x NEC Classic Show tickets as the prize. Meguiar’s UK will supply the tickets. The winner(s) is responsible for installation of the kit.